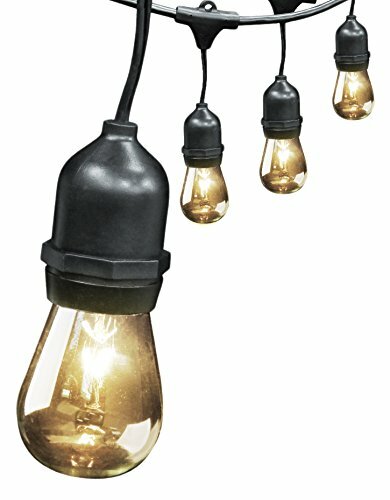 30 foot 10-socket, 15 bulbs, outdoor string light set, heavy duty, outdoor, weatherproof string lights. 3 foot spacing per socket. Great for patios, backyards, porches and special occasions.